It was a goldmine – If you knew how to use it. Twitter Ads have the potential to be the next gold rush for anyone looking to market their business. 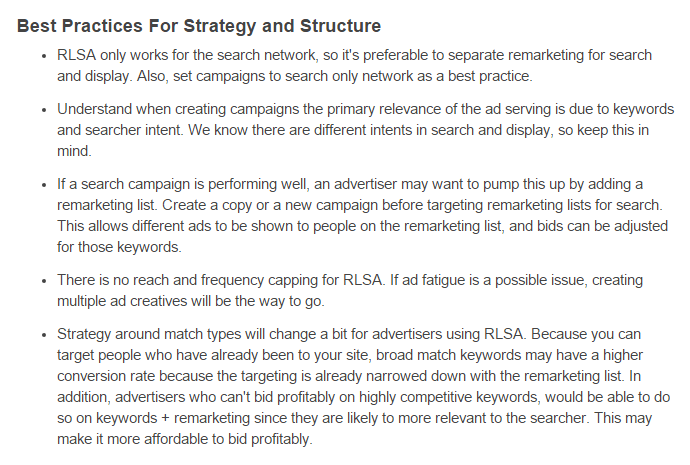 But as with Adwords in ‘01, you need to know how to maneuver around and bend the Twitter platform to earn a ROI. We’ll look at how their campaigns worked and why they worked. 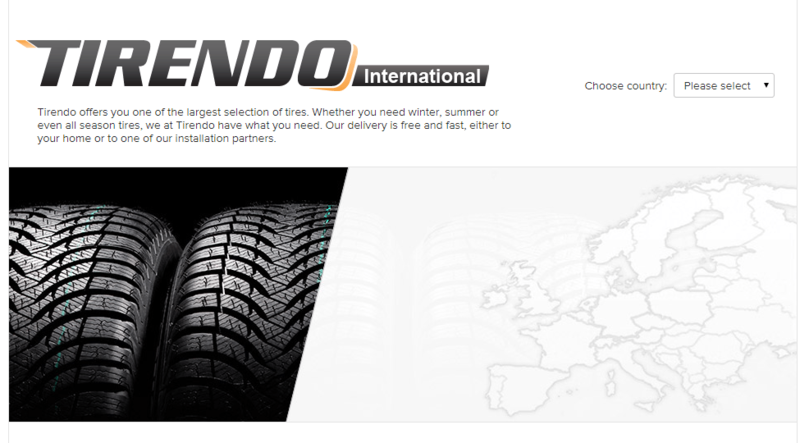 We’ll be pulling examples from all over the web, looking at companies in a variety of niches. By the end of this article you’ll have a handful of Twitter tactics that you can take away and implement in your own business. They won’t require you to play big. Even the smallest of takeaways could help you redefine your marketing approach. One thing I want to convey in this post is that you can pretty much market anything (within reason) if you know how to use Twitter Ads. The first case study we’re going to look at is based on a company called ‘Poo-Pourri’ — a company that essentially sells a bathroom odor neutralizer. They had already experienced some success with a viral video boosted by some YouTube Ads. The viral effect of their video allowed for them to build an organic following. They wanted to expand their efforts, so they looked into using Twitter and Facebook Ads. The team at Poo-Pourri loves to instill humor into their ads and branding. They discovered that their Twitter audience resonated best with their comedic style. Based on what they had found, Poo-Pourri decided that they should run a Twitter Ad campaign over the holidays. The campaign targeted people who had relevant interests. They also targeted the followers of relevant Twitter accounts. If you look at an example of a Poo-Pourri ad below, you’ll notice a number of things. Each of which contributed to their success. Notice how the image explains how the product works. It’s simple and easy to understand — also a bit funny. The image also makes up for limited character space too. Look at the ad copy. There is a little bit of humor in the first line — though you could argue that isn’t really important. What’s more important is that it gives you a reason to consider the product. Poo-Pourri helps fix the problem of knowing what to buy for someone during the holidays. The 20% off is also a big help. It entices people to consider the product and maybe even buy it. If you want success with Twitter Ads, don’t worry about having a small Twitter following. Just target the right audience and consider experimenting with humor and have some fun. It’s always easy to switch to another advertisement if you’re not having luck with your original. How you can implement the Poo-Pourri strategies into your own campaigns. Check out national-awareness-days.com to find out if there is a relevant awareness day coming up. Piggybacking off of an up and coming awareness day. 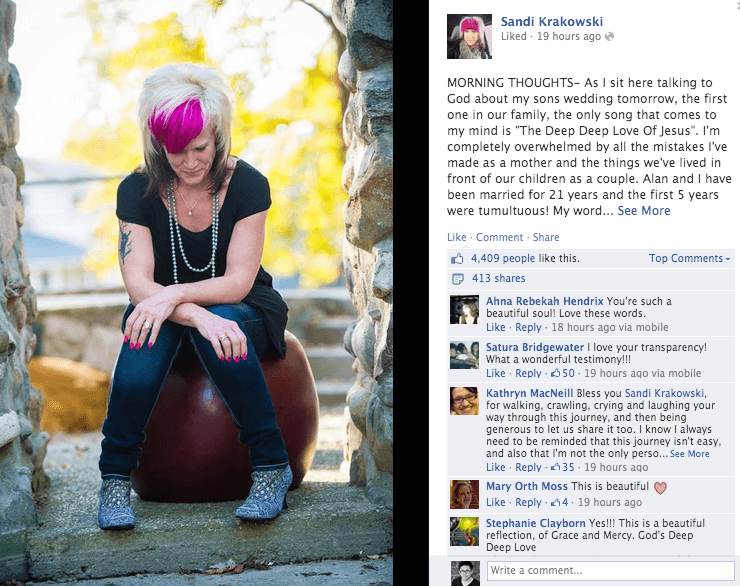 In doing so, you too might be able to boost your sales in similar fashion to Poo-Pourri. If you go to http://sproutsocial.com/insights/free-image-creation-tools/, you’ll be able to view websites related to photo editing and design. The websites listed will allow for you to create some awesome images for your Twitter Ads. This article too, lists how you can create some images for your Twitter Ads. If you have the budget, you might even consider using a service such as 99designs, to help you create the perfect image. When creating images, try and ensure they’re eye catching. Faces are often helpful. Though if you can explain your product in the image, that can also help. This article can help you create the copy for your Twitter Ads. The examples listed use proven principles related to the world of copywriting. These principles are then condensed so that they fit the Twitter character limit. Experiment, and see how you can adapt the ideas to your own tweets. Nonprofits are always in need of ideas that help them raise awareness for their cause. The nature of their business means that creativity is often key. Otherwise, they won’t be able to attract any attention, in what is an already crowded space. Here is an example of a nonprofit called ‘The British Heart Foundation’ (BHF). They used Twitter Ads to raise awareness. The BHF wanted to teach people how to administer CPR. Normally they’d go straight to TV. This time, however, they decided to use Twitter in order to promote their video first. Their campaign lead to 1.7 million views. They also sparked a dialogue that lead to new Twitter trends being created. The trends were based on the BHF’s initial Twitter Ad campaign. The most important metric, however, is that they were able to save lives. Firstly the video itself was very entertaining. Not all companies consider using video in their ads, so that decision alone was a creative move. Secondly, the ad copy did a great job at developing curiosity. Upon reading it, you want to learn more. The company also took another step to get their message out there. That was the act of creating a promoted trend. If you’re familiar with Twitter you’ll know that trends refer to popular topics on the platform. A lot of people check out these trends to learn what’s going on in the world. The fact that the campaign was promoted as a trend, meant that it was placed in another location where people would be able to see it. The trend tag #hardandfast, generated curiosity, compelling people to find out more. A promoted trend, however, can be very, very, expensive. Either way, even if it weren’t for the Twitter promoted trends ad, the campaign would do well. That is because the key to their success, was that they created an entertaining campaign. 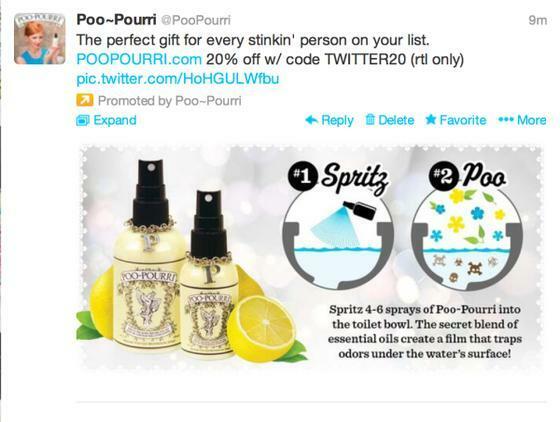 As with the ‘Poo-Pourri’ campaign, comedy on Twitter is something that seems to flourish. How you can implement the BHF strategy into your own campaign. It can be hard to create a viral video. 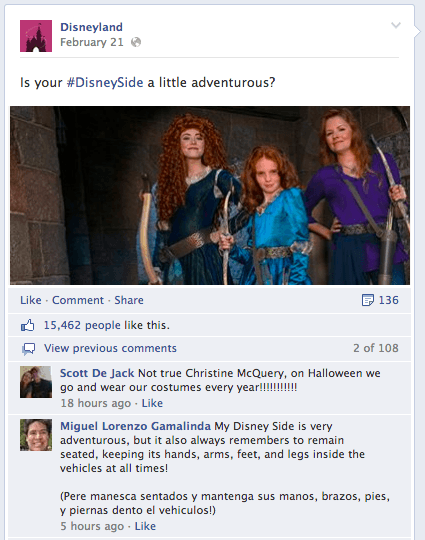 This Kissmetrics post gives you some tips on how to create a viral video. Yet, even still you might find it challenging. As a result you might just search for a company that can produce a great video. You don’t have to focus on this video going viral. You just have to ensure that it does a good job at selling your offer. A lot of people have found that demoduck.com is a good company for creating video content. Though your video’s might not go viral, you can still experience an ROI if your video does a good job at communicating your message or value proposition. A lot of the examples mentioned in this post relate to sales and conversations taking place online. 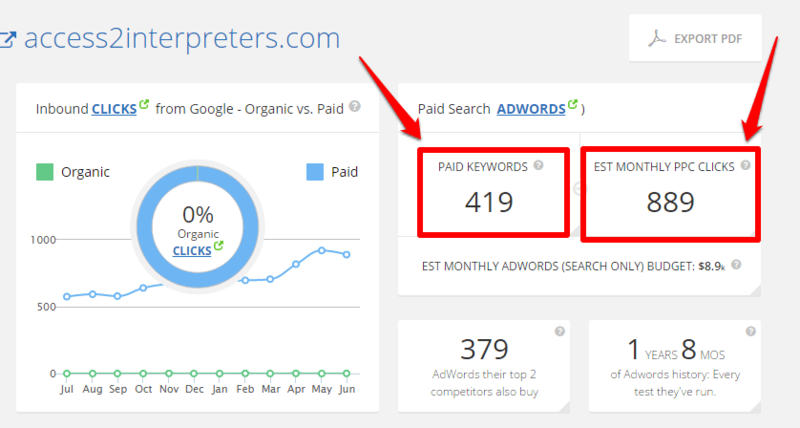 However, there are going to be some of you who want to know how Twitter Ads can produce offline results. The next company we’re going to look at is a restaurant chain. They promoted a new opening using Twitter Ads. Known as Poncho 8, this restaurant is commonly referred to as a burrito bar. They were already active on Twitter. Using Twitter, they mainly focused on engaging existing customers and asking for feedback. However, when the time came for promotion, they had to take a more active approach. The change led to them using Twitter Ads. Using the platform, Poncho8 experienced the biggest restaurant opening ever in the company’s history (there are 6 restaurants). Twitter was definitely a big reason as to why this happened. Let’s take a look at the steps that this company took to produce such results. Their goal was to promote the launch event. To do this they used promoted tweets and promoted accounts. Their promoted tweets mentioned special offers and popular menu items. The copy on the ad alluded to a new restaurant opening. This can be seen with the #Paddingtoncomingsoon tag. To ensure that the people saw their content, the company created a few promoted accounts. These promoted accounts were designed to attract followers . These users would then see more tweets on their timeline – related to the company. The promoted account copy alludes to a new restaurant opening. The offer of freebies and food is entices people to follow the company. Being based in London, a lot of their target market is young professionals. As a result, Poncho 8 targeted the followers of companies that had an aligning customer base. This was done by targeting the followers of publications which were aimed at young professionals. In doing so they were able to build up a relevant audience. Poncho 8 monitored their results and focused on the twitter accounts that were bringing them the best results. This was in terms of the Twitter accounts that had the followers Poncho 8 wanted. The constant tinkering ensured that they were always maximizing their results. The campaign produced a 23% increase in engagement rate for their tweets. This was a sign that they were targeting the right people. All of the effort, led to the company having a huge restaurant opening. On the day, the company experienced one of their busiest lunches ever. Poncho 8 did a few things to ensure that their campaign went well. Here is how you can follow in their footsteps. 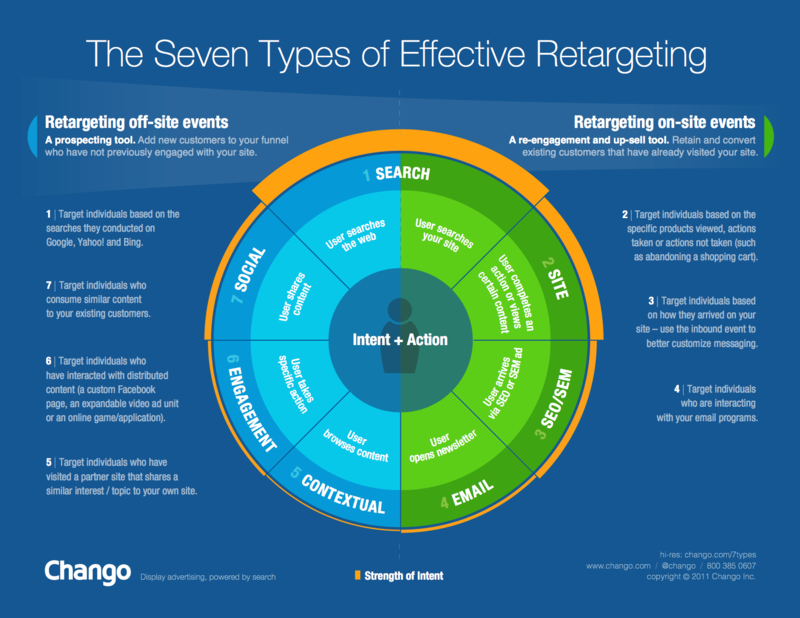 Keep in mind that these tips relate to offline and online campaigns. A promoted account is effective in the long run. When you have a bunch of relevant followers you can reach a lot of people without having to spend money. If you want to create a promoted account, you’ll need to take the following steps. Go to the Twitter Ads dashboard and click on the “Create new campaign” button. Give your campaign a name. 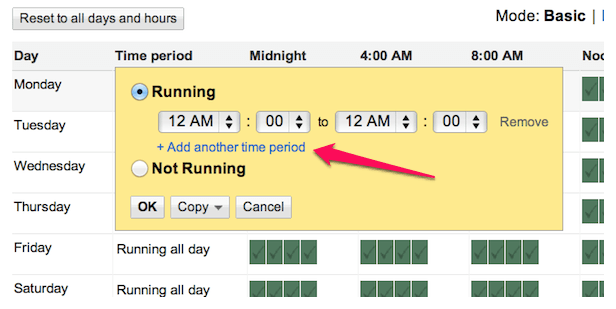 In terms of run date, choose immediately. That is unless you have another strategy in mind. Set up the creative you want, i.e. the tweets. These tweets will need to entice people into following your account. Be benefit rich and include a call to action. You can use an existing Tweet. Though you might not have any Tweets that are designed to attract followers. Remember, you can use the formulas mentioned in the Poo-Pourri section. 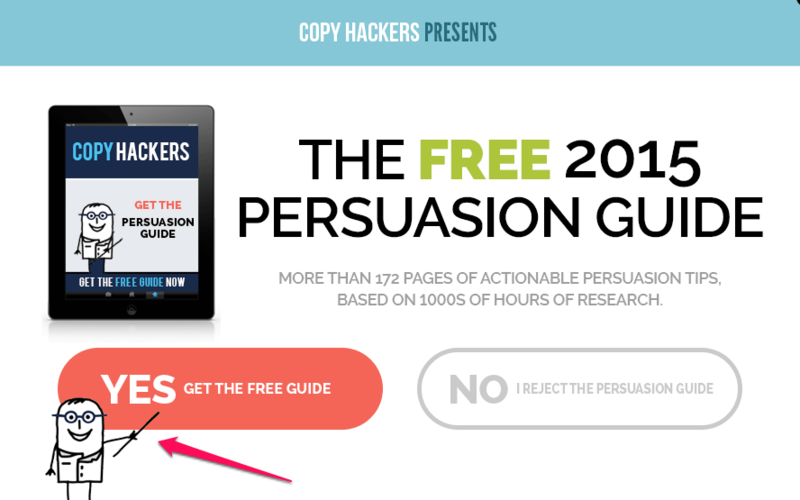 That article will help you create copy that encourages people to take action. 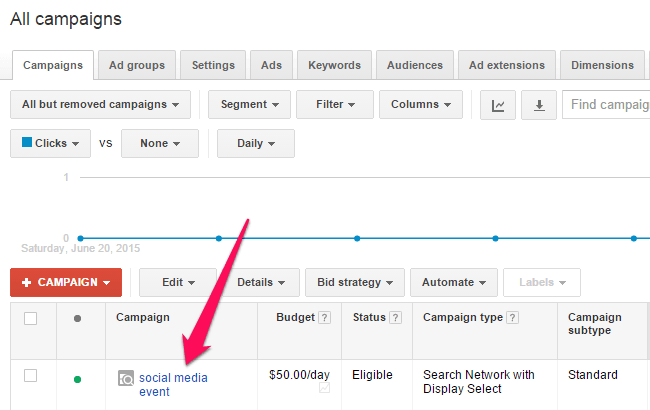 Set a budget for your campaign. 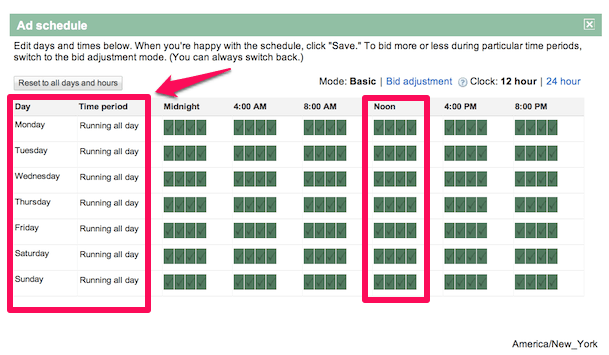 When choosing the price, you have the option of using an automatic bid or a maximum bid. The challenge lies in working out the lifetime value of a follower. If you know this, you might be able to decide on a maximum bid. If you want to just get started and not worry, an automatic bid is best. Of course, you are free to enter a very high maximum bid to ensure tweets are shown. However keep in mind that Twitter still takes into account the relevancy, recency and the resonance of a tweet. 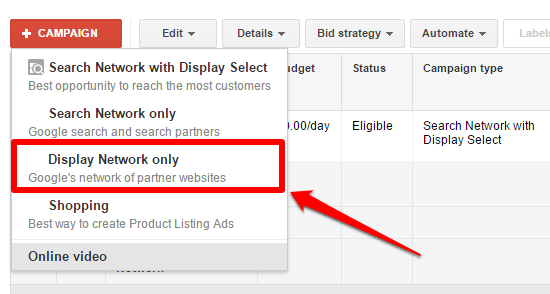 The more you can improve those metrics, the increased chances of your ad being shown instead of another ads. Target Twitter followers that are similar to the followers of other companies. As seen, one way to find relevant followers is by targeting the followers of relevant companies, or direct competitors. You can either target people who are similar to the followers of your competitors, or you can target the exact followers of competitors. If you’re going to target similar followers, this is how you’d do it. 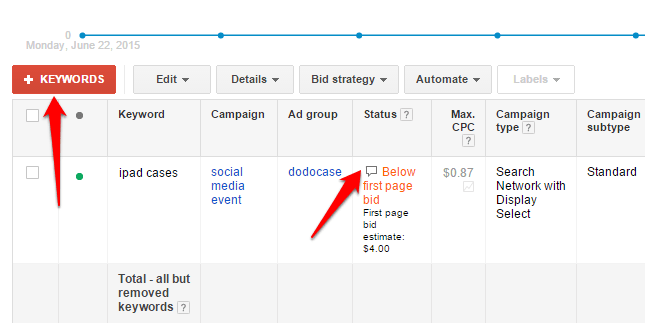 Create a campaign and then click on the add followers tab, underneath the targeting header. Then enter the usernames of competitors or accounts that have an audience that matches your needs. Once you’ve entered an account that has similar followers, Twitter will let you know what the estimated audience size is. It will also let you know of other companies you might want to include in your targeting preferences. Underneath the suggested usernames, you’ll see an option to target users like your followers. Whether or not you click this option depends on what your goals are. Do you want more people who are like your current followers? Or do you want to attract a completely different crowd? If you want to target the exact followers of your competitors or of a relevant company, this is how you’d do it. You first need to compile a list of followers, based on the company you’re interested in. You can either go to your competitors account and spend a couple of hours entering their followers into a spreadsheet, or you can use FollowerWonk. Assuming you use FollowerWonk, this is how you’d go about the process. To export follower CSV lists, you will need a paid subscription – though there is a free trial of 30 days. It takes a little while to create the report. FollowerWonk struggles in terms of downloading information based on more than 100,000 followers. It will therefore take a sample size. After a little while click on FollowerWonk reports. You’ll then see this screen. Pick the report you want to view. You’ll then see the report. Click on the icon highlighted to download the data. It will ask you what format you want. Pick one and then the report will be created. It will take some time. Once downloaded, delete every other column in the file apart from the screen names. Be sure to delete the line called ‘Screen names’ too. Pick a list name. Then click on usernames and upload your list. Submit it all and then wait for Twitter to approve everything. Note that the number generally needs to be over 500. If the audience is too small and you’ll get this message. It will look like this when complete. Twitter will remove some people from the list you’ve added. The reasons for this vary. Some accounts might be inactive for example. 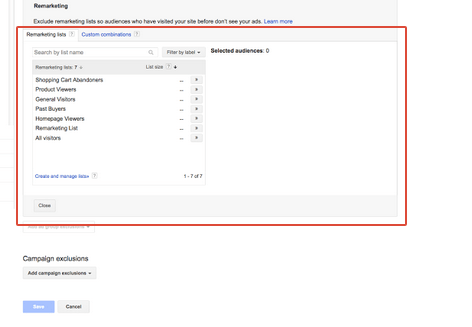 Once you’re custom audience has been uploaded, create a campaign. Then go to this section of the page. You’ll then be able to target the list of followers you uploaded. Unclick the ‘Expand reach by targeting similar users’ button. This feature is designed to include people who might be similar to the audience you’re targeting in that list. You most likely do not want this, as it will include other people and reduce the precision of your campaign. If you look at the text that follows the button, you will notice that it explains how you can exclude the audience that belongs to your list. That might be helpful if the list you have downloaded, includes existing customers for example. If you want to create a campaign that excludes this audience list, you’d do the following. Scroll down and click on the ‘Browse your tailored audiences’ button. Then as before, select your audience list. Once selected, you’ll see that the chosen list of Twitter users are now excluded from your campaign. From there on, go ahead and create the campaign as you normally would. If you want to quickly find out some interesting information about your Twitter account, you can head over to analytics.twitter.com. Even if you’re not running paid Twitter Ads, you can use the page to view some analytics data, based on past tweets. If you thought your business was in a crowded market, you might just change your mind after looking at the market for apps. Tons of apps are coming out each and every week. Yet despite this, a London startup still managed to gain some traction with their app. Their main source of app downloads? Yep you guessed it – Twitter Ads. Known as Bizzby (Their story is documented here), the company found that customer value was 20% higher for leads that came through Twitter. Their Twitter leads also produced more quality installs and lead to more returning users. So what made their Twitter Ads effective? As with every other company mentioned so far, they first focused on their targeting. They decided to take advantage of the fact that their app relied on local services. Using Twitter’s ability to target by location, Bizzby focused their ads on specific locations. When they did this, they were able to convey the precise targeting in the copy. Check out the image below. 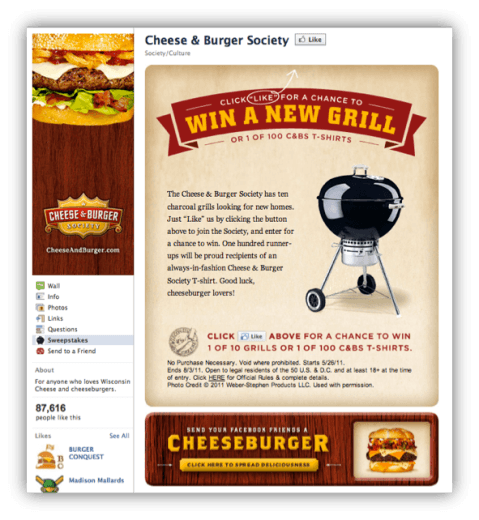 Because they were able to target by postcode, they could catch a user’s attention with personalized and relevant copy. This made the ad highly intriguing. 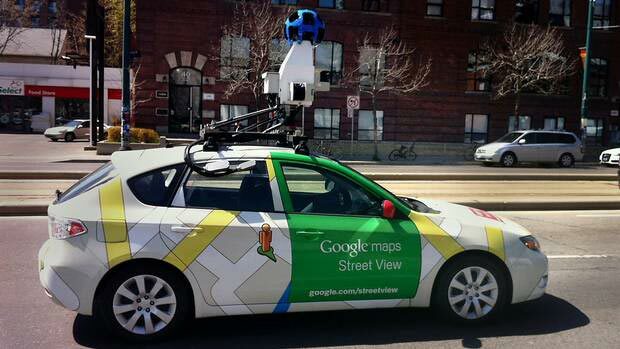 They also made the genius move of customizing their images – based on the device being targeted. If they were advertising to android users, they would show what their app looks like on an android device. They did the same for an iPhone too. This added level of relevance, improved their ability to resonate with potential customers. Bizzby continually optimized their campaign. They targeted audiences who had not downloaded their app before. The way that their campaigns were set up, meant that they were reaching new people each and every day. There’s a lot that Bizzby got right. But by now a lot of it should not be new information. They targeted their ads as much as possible and made the copy appealing. Something that hasn’t been previously touched upon, is that they picked the right kind of ad when setting up their campaign. The campaign was designed to drive app installs. The big button that says install makes it easy for people to do just that. Bizzby’s location targeting methods allowed for them to separate themselves from the crowd. If you’d like to try out something similar, this is how to implement that strategy. Go to the targeting section of the campaign creator. You have two options here. You can either enter the locations one by one or you can import a list of locations. This is what happens when you search for locations. Enter a postal code or a location and you’ll be presented with a drop down menu. Pick the one that is right for you. If you want to manually import locations, click on the import locations button. You’ll then see the following screen. When you import the locations you’ll subsequently see a drop down menu. This is allows for you to pick the right option. Keep in mind that Twitter does not cover all areas just yet, and so there might be some errors on a few locations. The drop down option is very useful. I’m actually looking to target the Manchester that is based in the UK, not the US one. If I click the drop down menu, I’ll be able to see the UK option of Manchester. Once done, create your campaign as normal. If you want to advertise to people who have not installed your app, this is how you would do it. Click on the ‘Create new campaign’ button and select ‘App installs or engagements’. Before you can advertise an App, you need to obtain the URL of the app. You can do this by going to the Playstore or App Store page of your app. Visit the relevant store and copy the URL, as shown in the image below. Then once you have this URL, go back to Twitter and click on ‘Add new App’. Note that there is an icon here that relates to conversion tracking. You can set that up now or later. We’re going to focus on setting the app up first. Once you click ‘Add a new app,’ you’ll be given a choice in terms of the device that you want to target. You can tailor your campaigns towards different devices. This is what the team at Bizzby did. Ideally you’ll want to create different campaigns for each app. You’ll then have the option of having custom creatives for each app. To do that choose the device/OS you’re looking to target and enter the URL of your app. If all goes well you should see a logo, based on the app you’re advertising. Click on save. You’ll then see this. Click on ‘Select’ so that you can start setting up a campaign for this app. If you do not set up ‘conversion tracking’, Twitter will be doing a lot of guess work. That means your ad will be shown to people who Twitter ‘thinks’ will like it. Therefore consider setting up conversion tracking on your app, to ensure you’re maximising your chances of drawing in new users. 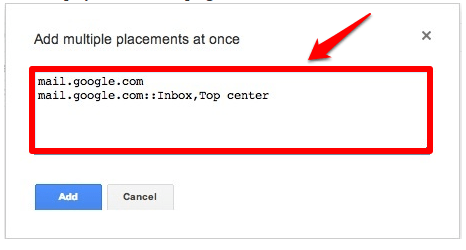 If you want to activate conversion tracking, click on the blue link called set up conversion tracking. You’ll then need to go through a process that will implement the tracking process. The topic of conversion tracking on Twitter Ads can become an essay in itself. Here is a page created by Twitter, that details the concept and how you can implement it. Here is an example of a firm that used the Twitter Ads platform early on, but had little success. However as the platform matured and developed a better interface, the company began to see a return. Of course they also made a few changes to the ads that they were running too. Known as HowAboutWe, the dating firm explained here, how Twitter Advertising was a big help. Eventually, Twitter Ads started to produce leads that had a 20% higher chance of becoming paid customers. Twitter’s targeting capacities, once again came to the rescue. That is thanks to the fact that they could target by location and interest. Once HowAboutWe decided to advertise a 50% discount using Twitter Ads, the company boosted their CPA by 800%. This was in comparison to other campaigns where no discount was present. It can be seen, therefore, that if you’re looking to run a campaign on Twitter, a discount might be something to consider. HowAboutWe also followed a similar approach to Bizzby, in that they called out their target locations in their copy. 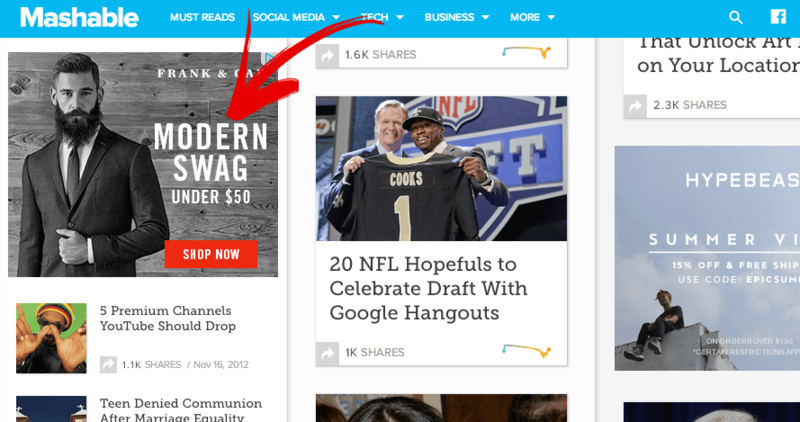 This was another step that also went on to boost conversions. If you want to target people by interest, this is how. Create a campaign as normal. Then scroll down to the ‘additional targeting criteria’ tab. Enter the relevant interests. You can browse categories if you need some inspiration. The more interests you tend to add, the larger your reach. At the moment, it seem as though people will be targeted for their individual interests. Meaning that if you have ‘Small business’ and ‘Marketing’ – you won’t be necessarily targeting people who like one AND the other. Rather its one OR the other, with maybe some occasional crossover. 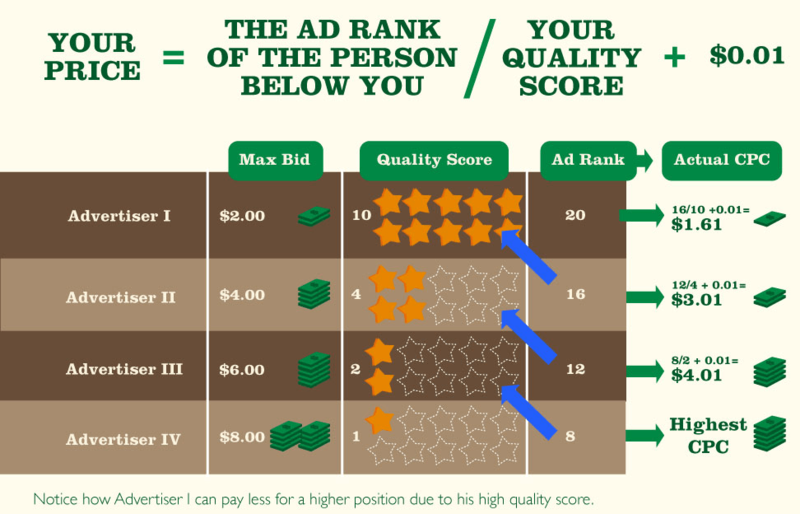 That’s how it currently seems – it might be different once you start implementing your ads. You’ll notice that as you add more interests, reach expands. This might therefore dilute your market to message match, when advertising. Such an effect might lead to more irrelevant clicks, therefore producing lower conversions and increased ad spend. That is, of course, assuming that ‘Interests’ are you’re only targeting method. It is better to combine this tactic with the other targeting options provided by Twitter. 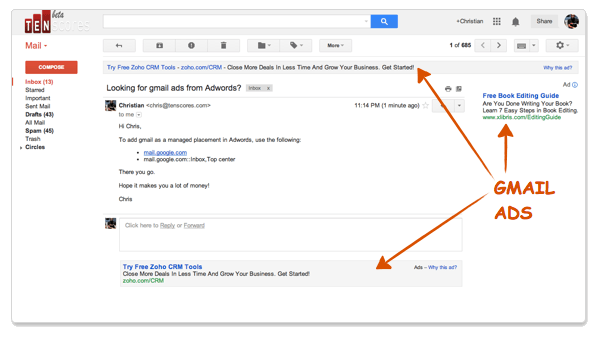 That way you’ll be able to laser focus your ads. The SaaS world can be an easy one to reach via Twitter. After all a lot of tech savvy people hang out there and readily engage with others on the platform. Because of this, it’s easy to see why Pingometer (a company that helps minimize website downtime), managed to boost their conversion rates by 22% with the help of Twitter Ads. When starting out, Pingometer explained here, how they targeted the audiences of similar companies. This kind of targeting shares similarities with the restaurant mentioned earlier. Such targeting meant that 9/10 new customers after the campaign, first heard of Pingometer because they clicked on a Twitter Ad. The firm also got into the habit of split testing their ads, so that they could see which variations did best. By testing their own assumptions, they were able to use hard data to improve their campaigns success. 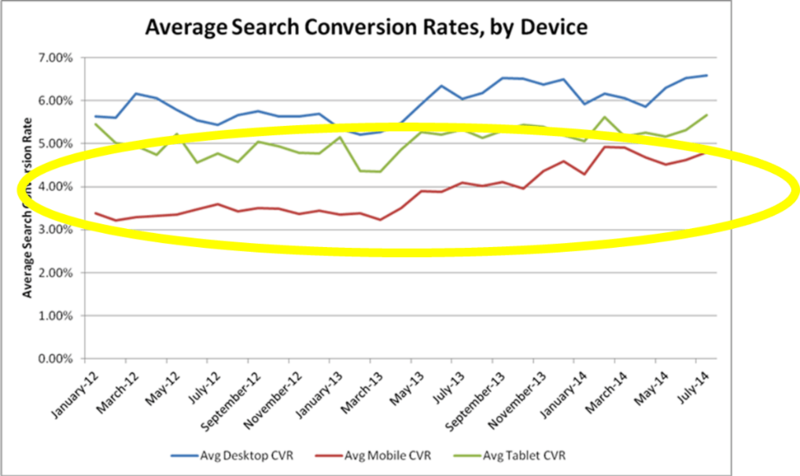 Another thing that Pingometer tested was mobile and non-mobile targeting. They experimented by changing their targeting to non-mobile only. This campaign did much better than the one targeted at mobile users. If you’re looking to run Twitter Ads, you too should get into the habit of segmenting audiences. 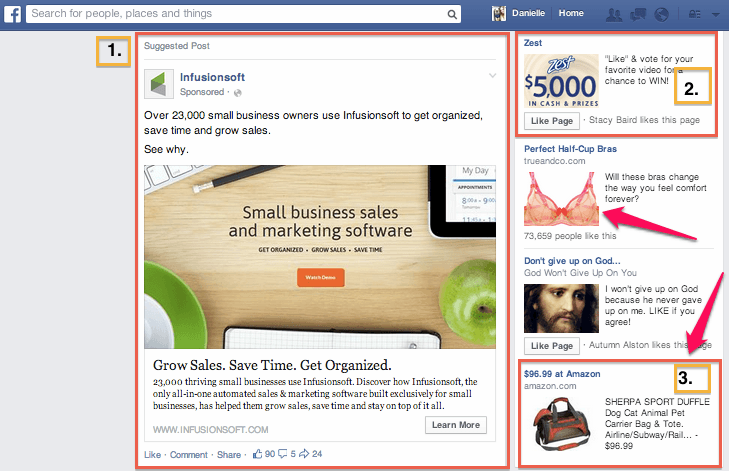 There is a lot that you can segment, depending on what your product is and who you’re targeting. Putting yourself in your customers shoes can really help. 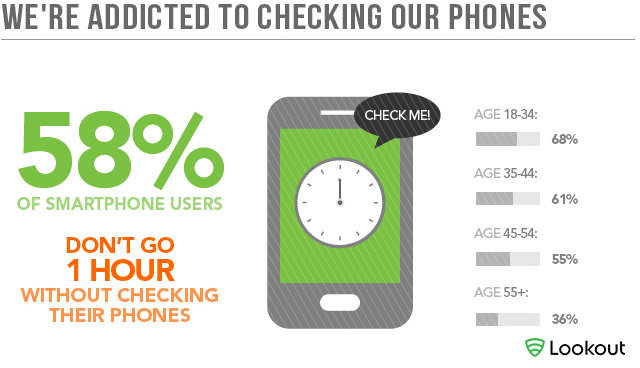 Pingometer realized that web developers, for instance, were less likely to go through the sign-up process on a mobile. When looking to apply this to your own business, you’ll want to consider the product or service you’re offering. Consider whether or not your target market would, or even could, purchase your offering on a mobile device. In any case, what is to be learned from this campaign? Firstly, you must figure out how you can reach your target audience. 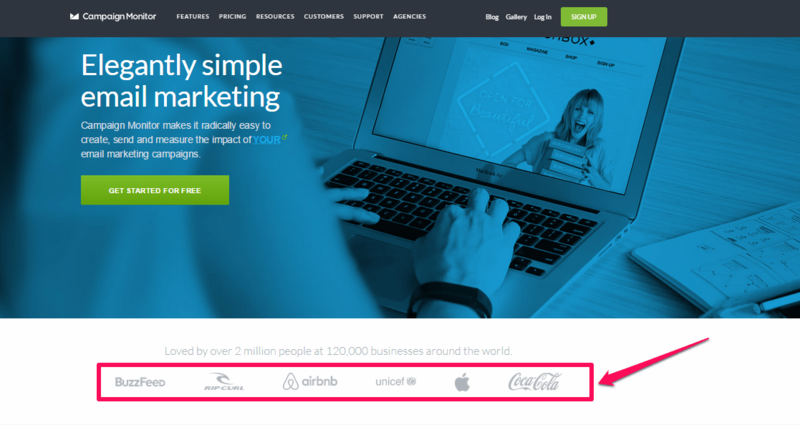 The easiest way for Pingometer to do this was to target the audiences of similar companies. This is a shortcut used by many firms in a variety of niches. 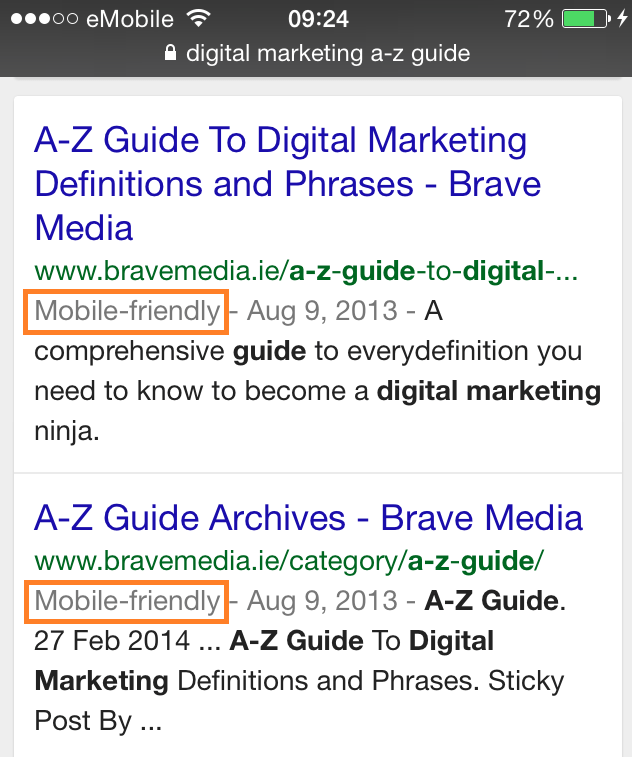 You must also experiment with different ad variations by adjusting copy and images. A new revelation, however, is that results can be amplified by doing some segmentation, to further improve your targeting. If you want to target specific devices, do the following. Go about creating a campaign as normal. Scroll down until you see ‘Select devices and platforms’. Click on that to expand it and you will see the following. 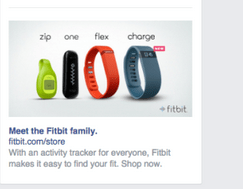 Pick the devices you want to target and test out your ads. If you want to be really clever, you can focus on specific devices and connection types. Relevance is always a good idea when advertising, no matter what the platform. The options provided, also allow for you to account for human behavior. You may, for instance, only want to advertise an app to those who are connected to WiFi. People might not want to use their data allowance just to download an app. Consider the points mentioned when creating ads. When split testing it is important to only make one change at a time. 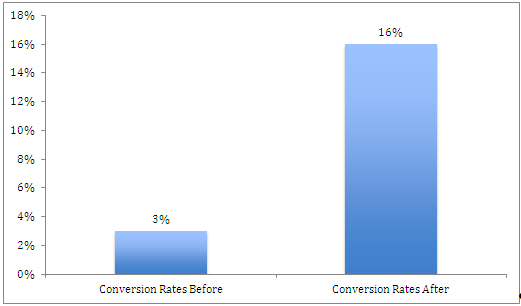 That will tell you what lead to a rise or fall in conversions. Split test the headline, copy and image (if you have one). Keeping your own swipe file is a great way to come up with brilliant ad and split testing ideas. If you see an ad you like, or you even responded to, screenshot it and store it in your Evernote. Then adapt it to fit your offering and message. 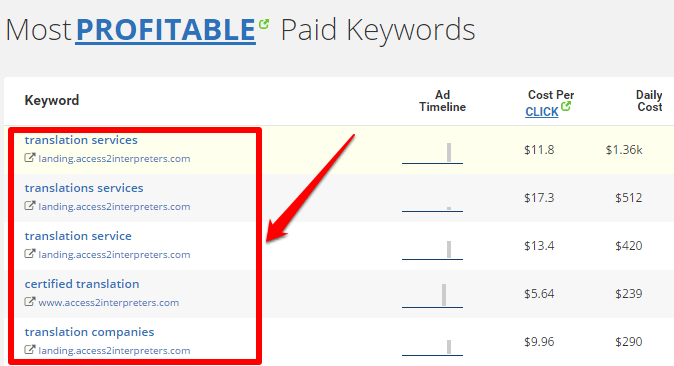 You can also monitor the results of another company or person who used a bit.ly link. To do that, copy the link and then immediately put a plus sign after it. 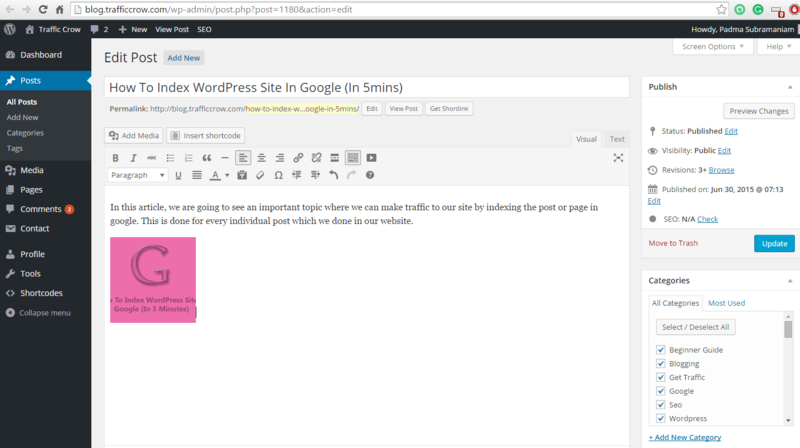 You’ll then be greeted by a dashboard that tells you what results the link attained. This can be helpful because it can tell you in a sense, how powerful a certain ads call to action was. That is assuming they used a bit.ly link. When you know more about your existing customers you can then create better ads in the future. That’s because future ads will then resonate with people who share similarities with your existing customer base. Figure out why people chose you, or what they like best about your service. Do that using a survey tool. 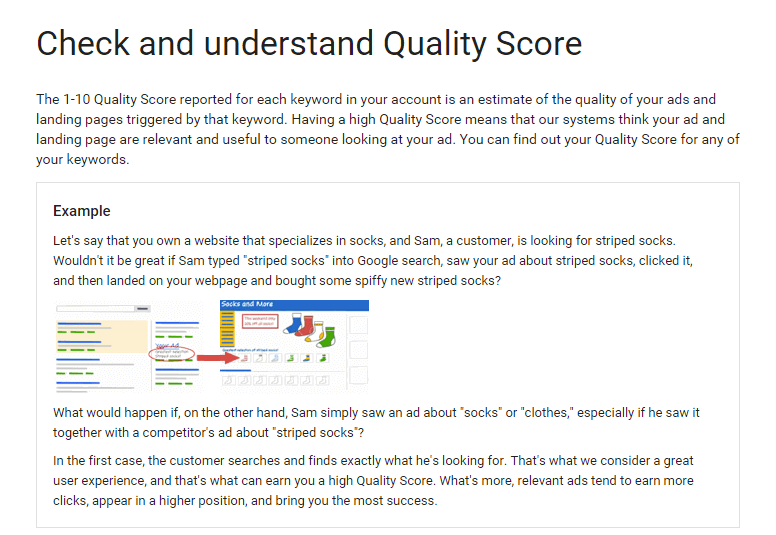 Qualaroo is a good tool to use for those who want to learn more about their customers. With the information you have discovered, make the relevant changes to your ads. Tinker with them so that they appeal to your target market as much as possible. That might include changes to the copy, for instance. You should know what kinds of problems your potential customers are currently facing. These must be problems that you can solve. You should also know why existing customers choose you instead of everyone else. Once you know that, you can implement that information into your copy. You can also look at the analytics of your Twitter account. What content resonated the most with your user base? What tweet produced the most customers? How can you emulate pass successes? So there you have it, 6 companies that managed to create an ROI using Twitter Ads. Looking back at each of the niches, it seems as though a trend is emerging. Most of the firms who obtain a great ROI with Twitter Ads, found a way to locate their potential customers on Twitter. They put a lot of effort into targeting. If you want to earn some success with your Twitter Ads you need to know who you’re targeting and how to reach them. If you’re stuck, target the followers of competitors. You can even target companies outside of your niche, that have followers you’d like to engage. The ad copy and images must be appealing to your target market. 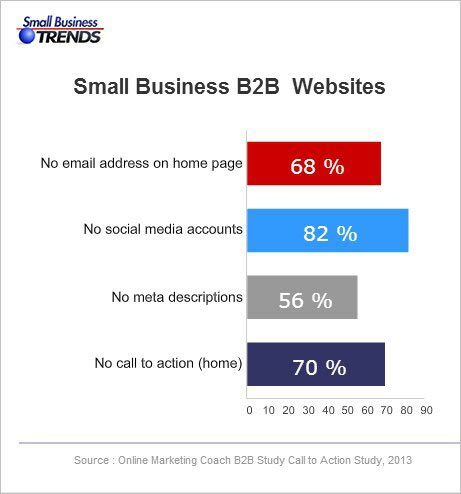 This will help build on your targeting efforts. Once you’ve got the targeting down to a tee, you’re free to really experiment with a number of ideas. You might offer a discount. You could even make use of upcoming events in order to promote your offer. Remember, however, that even though Twitter is a different ad platform, a great CTA is still essential. Many of the companies that succeeded with Twitter, made their copy entertaining and conversational. This might not apply to all niches, but it’s definitely something to experiment with. Provided that you’re watching your numbers with an eagle eye, it should all end well. Experiment wisely, and see how you can benefit from some of the strategies mentioned. If you have any questions or suggestions, feel free to mention them in the comments below. About The Author: Rakesh Kumar is a freelance writer and online marketer. He writes regularly on the topic of online marketing. He can help those in need of content or marketing advice.